Today, let’s look at the flipside of our article on foods you may think are healthy that are not. Let’s discuss some items that have been commonly labeled unhealthy foods, which have simply gotten a bad rap. Coffee is a good example of a food that, in moderation, is healthy. In fact, because of the strong concentration of antioxidants in coffee, it could be considered a superfood. The key is to stick to one or at most 2 cups daily, and avoid sugary flavored creamers. Regular coffee consumption is actually linked to a lower risk of type II diabetes. Eggs are an incredibly dense source of high-quality protein, and the whole egg is good for you. One egg contains 70 cal with 6 g of protein. There is fat in the yolk, but most of it is unsaturated, and we’re discovering that fat isn’t a demon anyhow, depending on the type of fat. Dieters who ate eggs for breakfast lost 65% more weight than those who ate an equal calorie breakfast of bagels. Again, the low-fat craze had us believing that only low-fat yogurt was healthy. The problem is that in every case where processed food is low-fat, it is also high in sugar or salt, or both. Reasonable portions of full fat yogurt are fine. Read labels, and avoid added sugars. Try plain whole milk yogurt as a topping over sliced fruit or berries. The healthy bacteria in yogurt helps maintain your digestive system in balance, and there is research that shows that consuming yogurt can be helpful for reaching or maintaining a healthy weight. Real hot chocolate (not the premade packets) is definitely a health food. It’s loaded with polyphenols that fight disease. Make your hot cocoa with pure cocoa powder, a teaspoon of raw honey or pure maple syrup, and unsweetened almond or coconut milk. For a real health punch, add a pinch of chili powder, a sprinkle of cinnamon, and a quarter teaspoon of turmeric. Once vilified as a saturated fat, coconut oil has been discovered to be one of the healthiest possible fats for cooking, especially high heat cooking. It is antifungal and antibacterial, and doesn’t break down (oxidize) on a kitchen shelf. This top healthy fat keeps for a long time and contains medium chain triglycerides (MCTs) which support a healthy brain. It has even been proven to help reduce abdominal obesity (belly fat). Salt was a villain for a while. It was thought to raise blood pressure, cause hypertension, and generally invite heart attacks. Now we know a little more, and we know that salt is essential to health. In fact, too little salt can actually lead to death. Unrefined salt such as sea salt or Himalayan salt contains valuable trace minerals, and is needed for good digestion. The salt you want to avoid is that in high-sodium processed foods. Those are definitely unhealthy foods. If you switch to unrefined salts, remember that many people are deficient in iodine even when they eat iodized salt. It would be a good idea to look for ways to add iodine into your diet, such as consuming more seaweed. We used to be told that chocolate would make us fat and give us acne, and that’s true if you’re eating low quality sources of chocolate with lots of sugar and very little chocolate in them. Dark chocolate, however, is loaded with healthy antioxidants. It’s also rich in iron and other nutrients. 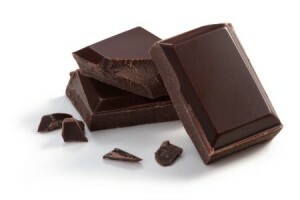 Dark chocolate appears to reduce stroke rates, heart disease, and high blood pressure. There has even been a study which found that people who consistently eat chocolate are often thinner than non-chocolate eaters. Whether or not foods are considered healthy is impacted by marketing and politics, so consider the source of the nutritional information you receive. The seven “unhealthy foods” mentioned in this article used to be considered best avoided, but these days new information has emerged and all of them, in moderation, can be considered healthy foods.